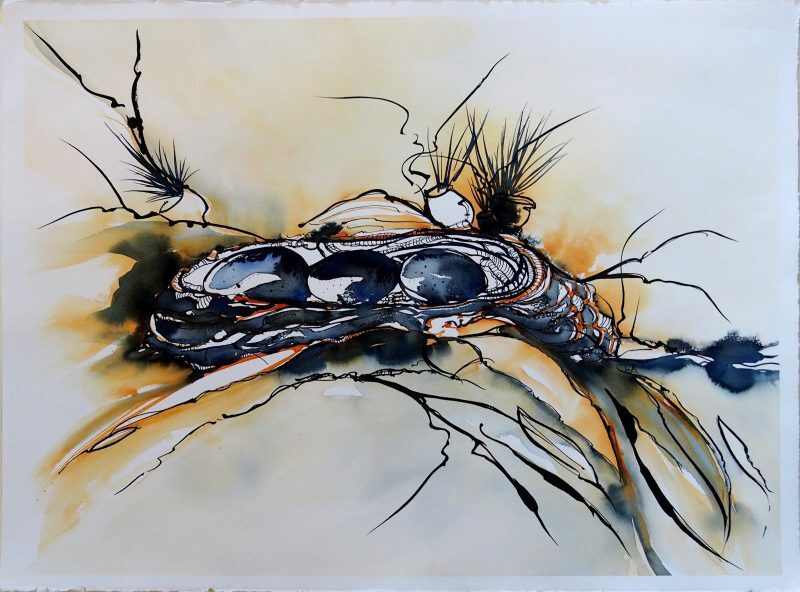 Water colour on 100% Cotton Rag Aquarelle Paper All Work comes with a Certificate of Authenticity – signed by Muriel Buthier-Chartrain (France) Muriel spent the month of September 2016 with us in Australia as one of our 2 Artist-in-Residence 2016, sharing her skills and techniques – her wonderful knowledge as a recognised water colourist and Membre de la Société Française de l’Aquarelle! Image size 12x 12cm With Mount 20 x 20cm Ready for Fine Art Delivery – Local – National or International from Brisbane Australia – postage and packaging calculated in the online shopping cart for your convenience. Water colour on 100% Cotton Rag Aquarelle Paper All Work comes with a Certificate of Authenticity – signed by Muriel Buthier-Chartrain (France) Muriel spent the month of September 2016 with us in Australia as one of our 2 Artist-in-Residence 2016, sharing her skills and techniques – her wonderful knowledge as a recognised water colourist and Membre de la Société Française de l’Aquarelle! Image size 12 x 9.5cm With Mount 20 x 20cm Ready for Fine Art Delivery – Local – National or International from Brisbane Australia – postage and packaging calculated in the online shopping cart for your convenience. Water colour on 100% Cotton Rag Aquarelle Paper All Work comes with a Certificate of Authenticity – signed by Muriel Buthier-Chartrain (France) Muriel spent the month of September 2016 with us in Australia as one of our 2 Artist-in-Residence 2016, sharing her skills and techniques – her wonderful knowledge as a recognised water colourist and Membre de la Société Française de l’Aquarelle! Image size 13.5 x 18.5cm With Mount 24 x 30cm Ready for Fine Art Delivery – Local – National or International from Brisbane Australia – postage and packaging calculated in the online shopping cart for your convenience.